Some time ago, System 3 released a game by the name of Pinball Hall of Fame: The Williams Collection in North America which compiled a number of classic pinball tables manufactured by the Williams group in video game form. Since then, the developers have been busy at work refining the game and improving some aspects they weren’t completely happy with for the PAL release of the game. 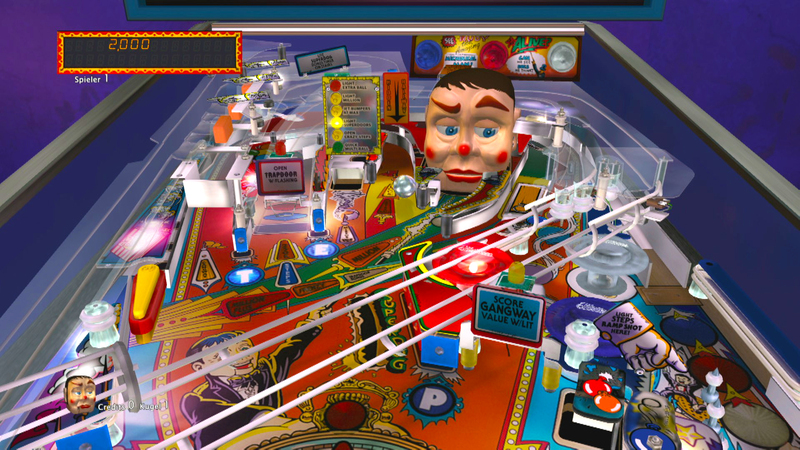 And voila – it has resulted in the game before us now, Williams Pinball Classics, which features subtle tweaks but ultimately provides a similar dose of the classic pastime. Among the improvements are adjustments to the ball physics and camera angles, and the added detail given to the graphics and the design of table models. I must say, the ball physics are spot-on and when combined with the authenticity of the tables due to the developers’ devotion to detail, they come together to create a realistic pinball experience. The camera angle can be altered using the X button to toggle between views, although the camera will auto-adjust to suit the current situation, following the ball and zooming in to give you a better few of certain scoring areas, but generally sticking to a comfortable default overview of the table, or panning out a little when multiple balls are active on the table to allow you to keep track of them all. The tables themselves have been lovingly recreated, with machines dating back to 1970 but all the while maintaining their original sound and design. While pinball enthusiasts may recognise some of the tables, fortunately prior knowledge of the tables is by no means required to enjoy the tables. That said, for those interested in the history there are a couple of small touches put in place, such as the ability to view each tables original flyer, plus the general level of authenticity to the point where even the digit match mini-game at the end of each game has been carried over. Of the 13 tables, only a couple show their age and seem a little less action-packed than others, and each one in their own right is a classic. Pinball is so soothingly simple and addictive that it’s so easy sink a few hours into a single table in one play session without being fully aware of the passage of time. Considering this is only one table and after this time it’s likely that you will have still barely scratched the surface in terms of places to explore on the table, 13 tables is a huge amount of entertainment. Each table carries its own set of tasks for you to complete known as ‘Table Goals’, which make up the achievements of the Xbox 360 version. These can be individual challenges related the table and its scoring areas, or straight forward challenges like earning an Extra Ball and meeting a high score-based requirement. Completing all Table Goals for one machine allows you to unlock one system in your ‘Arcade’ for free-play and then presents you with a new set of harder goals called ‘Wizard Goals’, also linked to the achievements in place. Controlling the game is completely intuitive, and is as easy for someone new to pick up as it is for someone used to the real thing to adapt to. The left and right flippers are controlled with the respective triggers, while pulling back the plunger to launch the ball and start the game is executed using a similar motion on the right control stick. 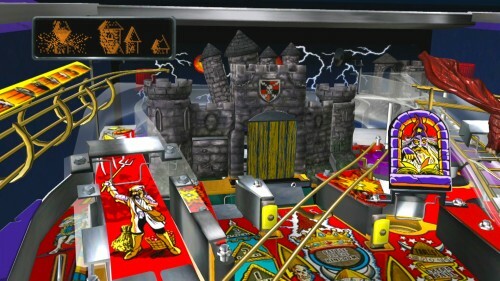 The left control stick serves as a nudge function – a useful weapon in any pinball player’s arsenal if used correctly – and like in real-life, overuse of this can cause the table to enter ‘tilt’ mode where the flippers and table mechanisms are disabled to punish you for abusing the machine too much. If the ball gets stuck and even nudging can’t free it up, there’s even an option located in the pause menu to ‘Call Attendant’, who will then reset the stationary ball to let play continue, and although the ball didn’t get wedged once during my time with the game, it’s great to see the developers have put thought into potential problems that may arise and, in turn, provided the player with solutions. There are three separate modes on offer, all delivering pure pinball with no nonsensical story shoe-horned in-between. The first of which is ‘Arcade’ which sees you shift from machine to machine in an arcade complex, before choosing one you want to settle down on and play. You can then either insert credits for one play, or provided you’ve amassed enough credits, you can purchase the table for free-play and never have to spend credits to play it again. You start out with only a small number of credits, but they are readily made available, with you earning more based on your score, the aforementioned randomised digit-matching game which provides a bonus 1-in-10 chance of bagging an extra credit at the end of each game, two tables unlocked for free-play from the off, and the other two modes available for play without using up any credits. As well as the Arcade, there’s ‘Tournament’ mode and the ‘Williams Challenge’. Tournament mode is where you can indulge in a spot of multiplayer, albeit turn-based multiplayer. The cycle of tables is limited to those unlocked for free-play and the mode pits players against each other, alternating turns to see who can achieve the highest score at the end. Alternatively, you could go old school and opt for the more intimate multiplayer experience of sharing one controller and manning a paddle each, which is always good fun. 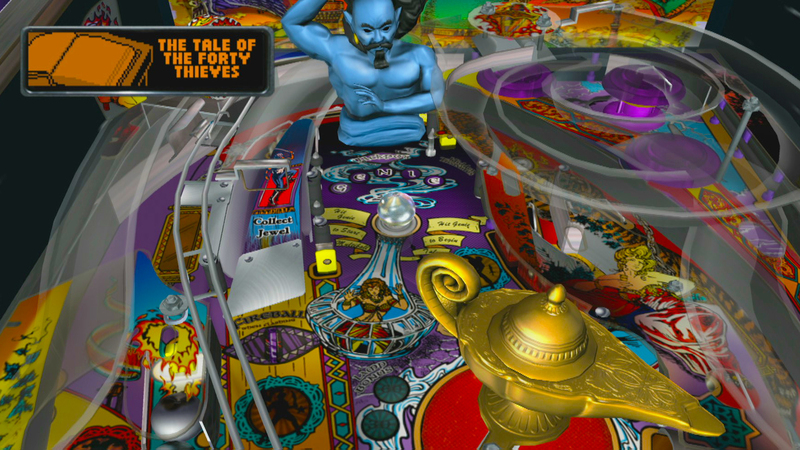 The Williams Challenge, on the other hand, is a test of your pinball ability, offering the task of completing each of the tables with a score above the one specified consecutively, with only two retries for each table. Don’t be deceived by the two retries because this is a gruelling test of your skill, and in some cases, luck, as there are no save points – failure means starting from the beginning. Williams Challenge mode will be a worthy adversary and formidable hurdle for everyone and is thrilling while it lasts, but given nature of it, holds little replay value as most won’t bother to play it through again and will instead invest their time in the Arcade or Tournament mode. 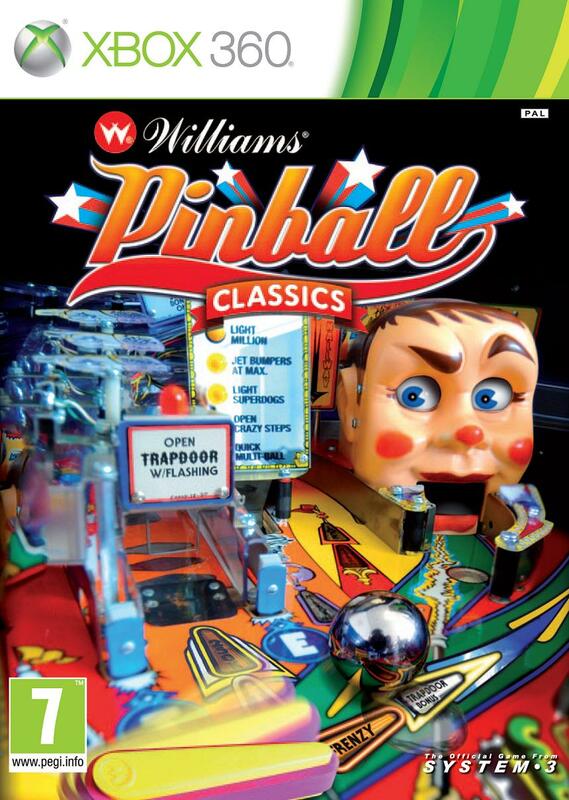 Williams Pinball Classics is one of the finest pinball games around, with hours of entertainment promised by the 13 varied pinball tables. While it can be a little rough around the edges in that the interface seems dated (feeling quite a lot like a grimy back-alley arcade from the 90’s thanks to the mix of classic rock guitar riffs and grungy setting for the opening menu); it delivers where it needs to: the gameplay. Authentically crafted tables with the original, occasionally even amusing sound bytes provide enjoyable arcade action, and the simple nature of play means anyone can pick up the controls. Wager in a reduced price-point and System 3 have a winner on their hands.